Eat like a caveman says the little Paleo-curious voice in my head. It's how our bodies have evolved and is built to digest food! But you know what? I'm Chinese and my parents raised me with a spoonful of rice in my mouth. I can't have enough of that stuff. In Chinese, I've even been called a "rice bucket" - literally someone who eats copious amounts of rice. 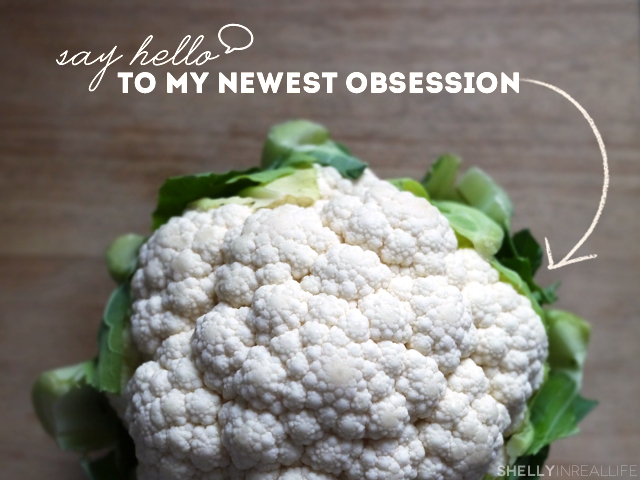 So what's a Paleo-curious girl to do? As I continue down a clean-eating path, I've been trying to cut the white grain, so bye bye white rice that I love so much. Brown rice is the healthier choice for many reasons - nutrients, digestion, fiber, the list goes on. However, the paleoista says it's still a no-no since our cavemen ancestors didn't spend their day farming rice. 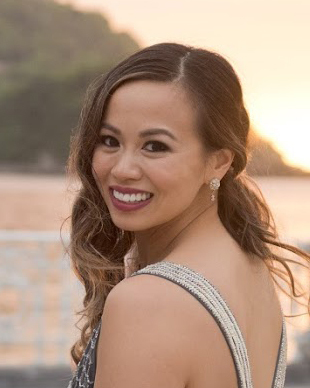 J also hates brown rice and prefers no rice over brown rice. This doesn't help the cause. I don't know what took me so long to finally try the paleo alternative for rice - cauliflower rice. "It tastes almost like the real thing!" Sounds too good to be true, right? Obviously nothing is going to replace the delicious taste and texture of plain white rice for me, but after FINALLY giving in and making this cauliflower fried rice, I can say I have found a viable replacement for my beloved bowl of rice that I crave at almost every meal! The even better news? 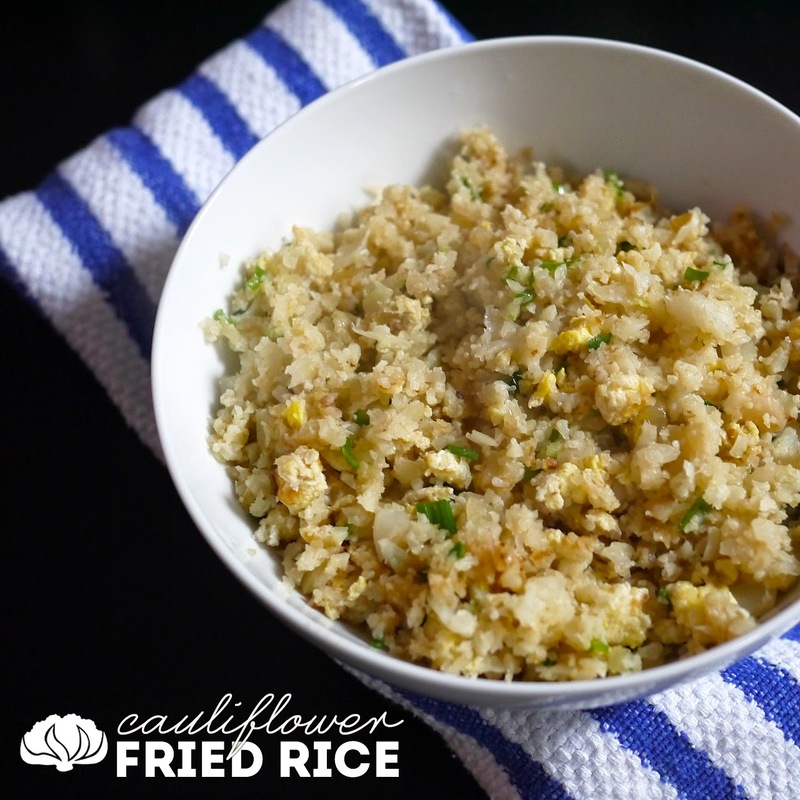 J is also a fan and says he prefers this cauliflower fried rice over brown rice! Win-win for all! Guess I know what my new go-to dish is going to be. 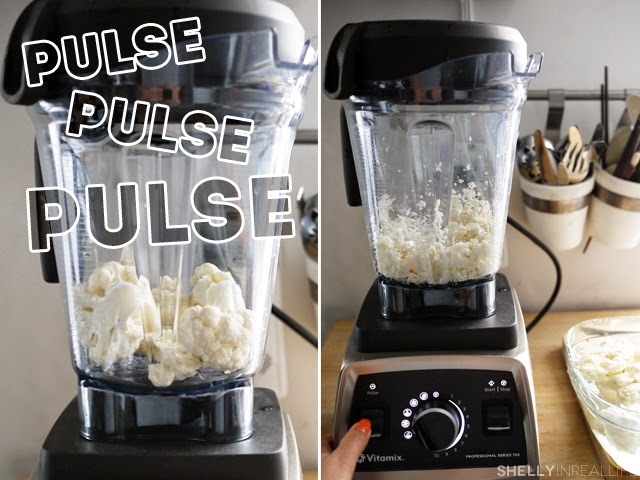 Having the pulse function on the vitamix made this whole chopping process effortless. To make sure that I didn't pulverize the cauliflower with the machine, I separated one head of cauliflower into three batches so that it gets chopped evenly. Once the cauliflower was chopped into tiny pieces, I was ready to apply my basic principles of making good fried rice (learned through years of watching family and some trial and error by myself). Fried rice is best made with day-old rice because the moisture gets taken away overnight, giving it more bite and helps separate the rice into individual grains. So it is best to dry fry your cauliflower so it doesn't turn out mushy. I added 2 tablespoons of chicken broth to the pan, covered it to let it cook briefly before I uncovered the pan to let the "rice" crisp up slightly. Cook your egg first and don't overcook it. The raw egg is never added directly to the rice because you don't want the eggs to coat the rice - this is even more important in this recipe because adding uncooked egg to cauliflower can turn this whole thing into an egg omelette!! So cook your egg first, remove from pan, then cook cauliflower and then add the egg back in when it is dry-cooked enough. My favorite fried rice is the way my mom has always prepared it for me as an after school meal- made with only egg, maggi soy sauce and scallions. It is simple, but so satisfying. You can easily add more ingredients to yours. If you do, it is best to quickly pan-fry those ingredients first, then the egg, then remove from pan to cook the rice. Me? 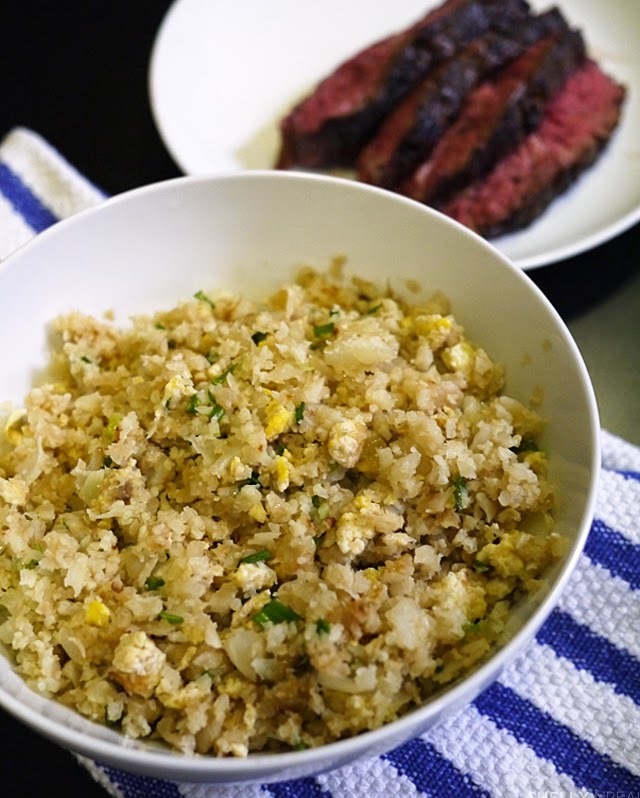 I ate my fried rice paleo-style with grass-fed hanger steak on the side, feeling rather pleased with the outcome of my "rice". Can't wait to make this again! Hope you don't take as long as I did to finally give cauliflower rice a try. 1. Scramble eggs. In a large pan, heat ½ tablespoon of coconut oil in medium heat (I've found pans are more non-stick when coconut oil is at lower heat). Scramble eggs quickly and just as they become cooked, remove from pan and set aside. 2. Cook "rice'. In the same pan, heat remaining coconut oil in medium heat. Add onions and cook for 3 minutes until slightly soften. Turn to medium high heat and add cauliflower, salt and liquid (water or chicken broth). 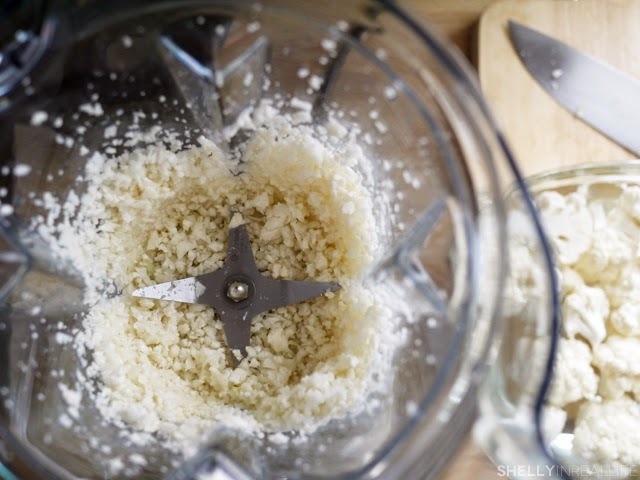 Stir to incorporate ingredients together. Cover pan and cook for on medium high heat for 5 minutes. Uncover and cook for another 3-4 minutes and dry fry the "rice". 3. Add eggs, soy and scallions. Once the rice is cooked, add in cooked scrambled eggs. Stir-fry for ½ minute and add soy sauce. Stir-fry until fully incorporated, allowing the cauliflower rice to fry-dry a bit more until you feel enough moisture is taken away. Add scallions in the last minute before you're ready to remove fried rice from heat. This final process shouldn't take longer than 3-4 minutes. Remove from heat, serve & enjoy!